LTC — first coin to be listed since the MCO Wallet App debut. 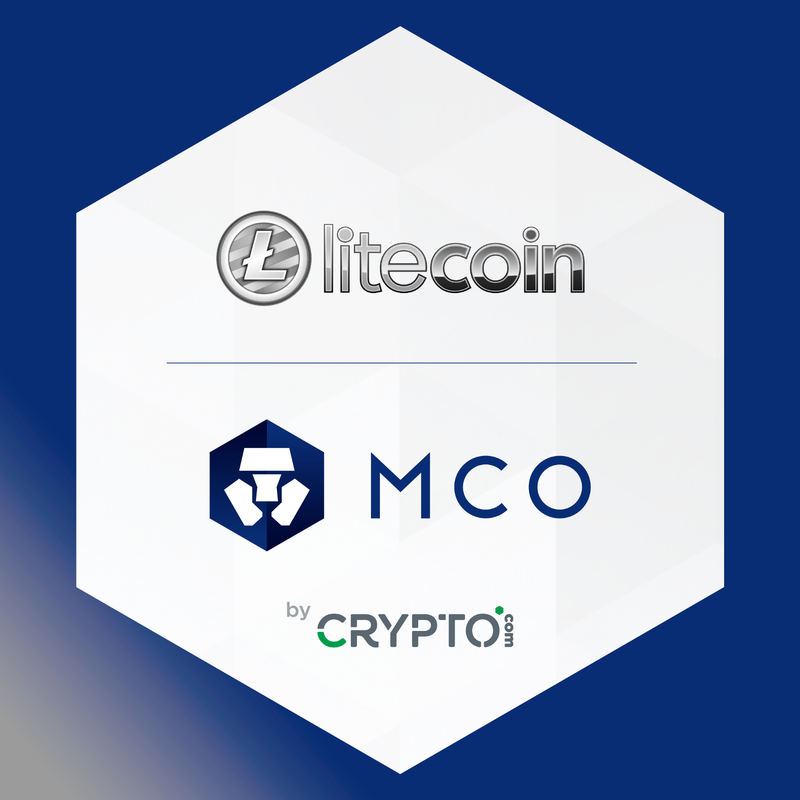 <HONG KONG, August 1, 2018> — CRYPTO.com, the pioneering payments and cryptocurrency platform formerly known as Monaco, announced today that Litecoin (LTC) has been added to its MCO Wallet App, joining the four original cryptocurrencies on the platform — bitcoin (BTC), ether (ETH), Binance Coin (BNB), and CRYPTO.com’s MCO. All can be purchased, exchanged, and sent securely within the app. The debut of Litecoin marks the first cryptocurrency addition to the MCO platform since the MCO Wallet App launch. This addition further expands users’ options for purchasing and trading cryptocurrency, and lays the groundwork for the launch of the MCO Visa Card. By adding Litecoin to the MCO platform, CRYPTO.com is enabling MCO users to spend LTC, among other cryptocurrencies, with the MCO Visa Card once it becomes available in their market. Using the MCO Wallet App, users can buy, exchange, sell, and track their cryptocurrencies. CRYPTO.com carefully reviews and evaluates cryptocurrencies on an ongoing basis for inclusion on the MCO Wallet app. This listing brings the total listed cryptocurrencies supported by MCO to five and supports the broader mission of CRYPTO.com to accelerate the world’s adoption of cryptocurrency.